Assalamualaikum. My thesis needed a word count for what could have been its third proofread. were initially meant to be one very looong post. It was so long and covered at least three different things that i didn't know what to put as the title. Hence these three short subsequent posts. 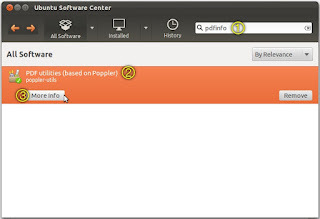 You will need to install PDF utilities (based on Poppler) before proceeding to Part B.
Pic 1 - PDF utilities in Ubuntu Software Center. 2. In the search field, type-in the search term "pdfinfo". The search results will auto-filter. See Pic 2. Pic 2 - Refer Step 2. Searching for PDF utilities (based on Poppler). 3. 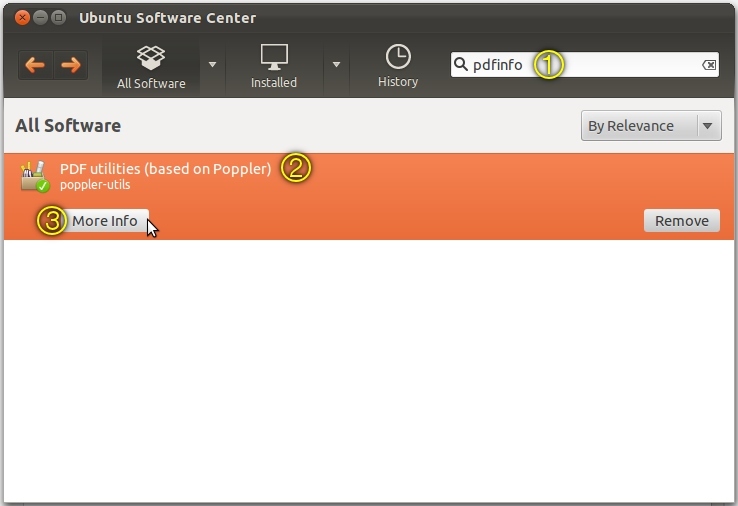 Select the PDF utilities (based on Poppler), see Pic 2. Two buttons will auto-appear. To install, click the Install button. To read more, click the More Info button, see Pic 2. When ready to install, click the Install button. Once the software is installed, the Install button will turn into the Remove button. 4. If an Authenticate window like that in Pic 3 appears prompting for your password, key-in your password in the Password field, then click the Authenticate button. Pic 3 - Refer Step 4. Authenticating the installation. Need i to remind you that i've no idea how accurate the count is. 5. Run the Terminal from the same location as the PDF file. 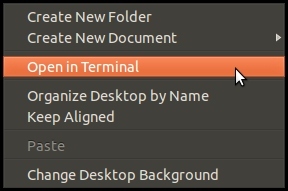 Right-click then select Open in Terminal from the menu. See Pic 4. Pic 4 - Refer Step 5. Accessing the Terminal from the right-click menu. then press the Enter button. A number will appear below the commandline. See Pic 5. Pic 5 - Count. Count. Count. Roughly, there are 25,109 to 25,120 words in my thesis according to Pic 5. Other methods/ softwares/ online services will produce varying numbers. you can try this free online pdf to word converter to convert pdf to word online. Good artcile, but it would be better if in future you can share more about this Keep posting.